Edgertronic 2.1.6 Software adds Enhanced Dynamic Range! 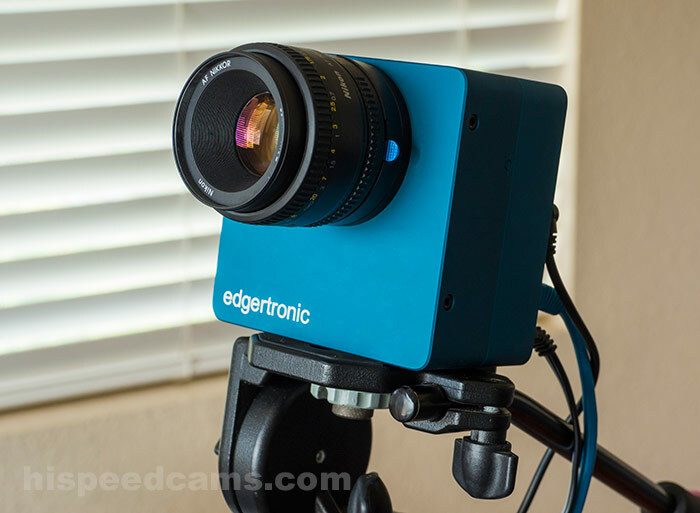 The edgertronic professional affordable high speed camera continues to evolve and the latest 2.1.6 software release adds a few pretty cool features and a few small bug fixes to the line. The update will be beneficial to all previous and new owners of the camera at no extra cost as it has been in the past. 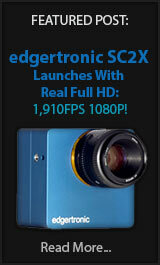 The camera also maintains the #1 spot in our HSC Camera Guide for price/performance. edgertronic 2.1.5 Firmware – Multicast Network Trigger! The edgertronic camera continues to evolve with firmware releases that improve the camera in many ways and patches bugs here and there that crop up while in use. 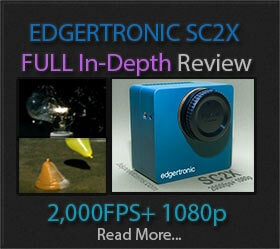 The latest 2.1.5 firmware ads a very important feature for owners of multi camera setups which is called “Multicast Network Trigger” which is a pseudo Gen-lock feature that does not require cables between cameras directly and the network connection within the camera creates the interface for trigger sync among multiple edgertronic cameras.